Former PM Ehud Barak says general's warnings about similarities to 1930s Germany are coming true, Netanyahu must be stopped. Former Prime Minister and Defense Minister Ehud Barak continued his attacks on Prime Minister Netanyahu and his government, stating the Israeli government is following a fascist path and that Major General Yair Golan's warnings about similarities to Nazi Germany in the 1930s are coming to pass. Barak addressed the controversy over the Nationality Law. in an interview with Reshet reporter Udi Segal. "The government is distorting Zionism and Judaism, betraying democracy, attacking the foundations and institutions of Israeli democracy, and stabbing the Declaration of Independence in the back." According to Barak, 12 out of 14 "symptoms of Fascism" exist in Israel today. "This government is leading Israel along the path followed by fascist movements, and it consistently and decisively undermines the foundations of democracy. Yair Golan's words, two years ago, unfortunately are confirmed before our eyes, and it is impossible to say that this man said the right thing in a difficult and painful moment when he looked back to the Holocaust. " 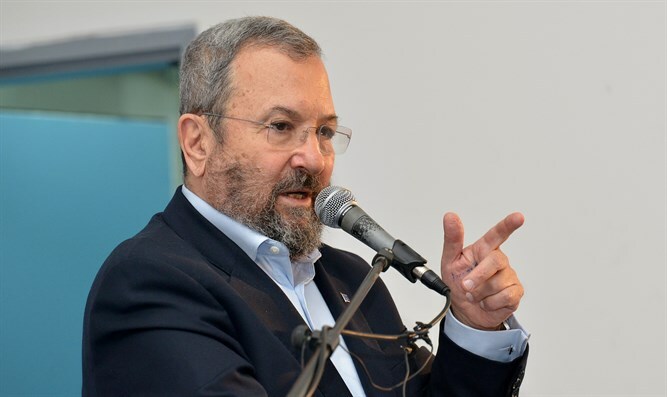 When Barak was asked by interviewer Udi Segal if his aggressive statements were not meant merely to present himself as an alternative to the current government, he replied that he "does not understand this babbling," as he put it. "I'm not dealing with myself. I'm dealing with the state. Your children and grandchildren will live in a country that you and they will not want to live in if this group can continue to storm." "From experience and history, we know that whoever does not stop the phenomena of the proto-fascist movement who follow the dark messianic magic of blood, race and soil - whoever does not stop them in time cannot stop them later."